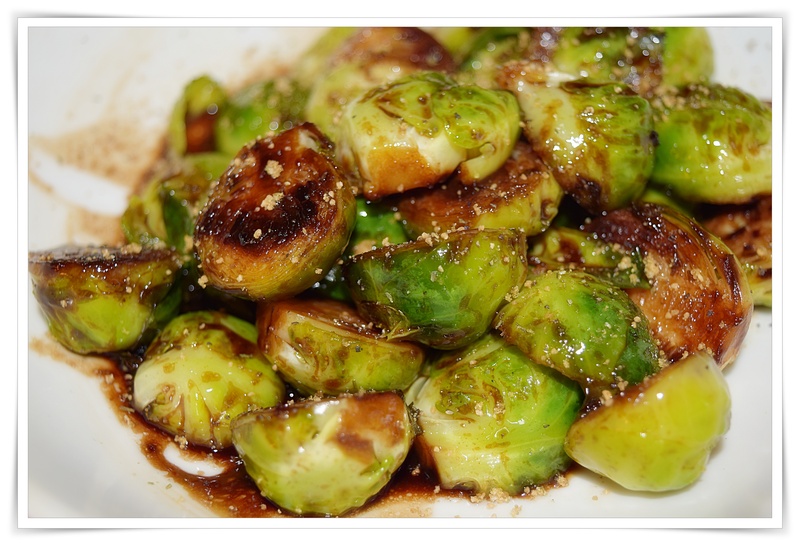 Place the Brussels sprouts on a sheet pan, including some of the loose leaves, which get crispy when they’re roasted. Cut the pancetta into ½-inch dice and add to the pan. Add the olive oil, 1½ teaspoons salt, and ½ teaspoon pepper and toss with your hands. Spread out the mixture in a single layer.